I enjoyed this book. The fast-paced, high energy heroine who's tasked with protecting the geeky guy. Except, he's not all that geeky, and when push comes to shove, Parker shows what he's made of. Both Parker and Georgia had rough childhoods and neither one of them wants to revisit the past. Except that Georgia has no choice when it comes to protecting Parker but to take them back to the place she hates the most. As the dust settles and more secrets come to light, Georgia will have to learn to let go of the past hurts to embrace the man standing in front of her. Georgia is a take no prisoners, tough woman who can do it just as well as anyone out there. She has had a somewhat tough life and is just trying to move forward. However, she's finding that following rules outside of the military can be just as tough. When she wants answers about her brother, she's just going to have to accept that sometimes, people do things for the right reasons. Parker is a computer nerd who shows he's more than just a numbers guy. He is tough when necessary, protective always, and loves deeply. He is also fairly selfless and wants people around him to be secure and safe. This is a fast-paced story about greed, hate, and family. I can't wait to see what happens next because this is, hopefully, going to be an awesome series! This is the first in a new series, and is really rather good. A group of off-the-books agents who have an interesting mix of abilities finds themselves in a bind (to say the least) and new recruit Georgia is thrown in at the deep end. For that, read babysitting Parker – their first meeting is just a brilliant indication of how these two will get on. I love strong, feisty female characters in books, and Georgie is a great example. She is also willing to acknowledge that Parker is irresistible and act on the attraction, repeatedly. Luckily, he is just as besotted, which makes for a mainly drama-free romance, even if everything else is going crazy for them and the team. Decent plot, which remains unresolved, guaranteeing an exciting next installment – I cannot wait! 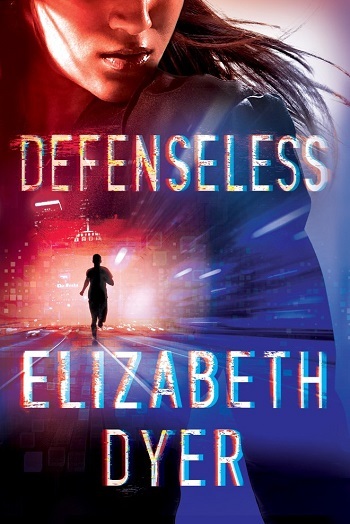 Reviewers on the Wicked Reads Review Team were provided a free copy of Defenseless (Somerton Security #1) by Elizabeth Dyer to read and review.